Om Puri was a generous, warm-hearted man and an incredible international star who shone in Indian, British and Hollywood films. As one of the most talented and versatile actors of his generation, he showed in his characters how similar we all are – how human and imperfect – and in so doing changed the way we think about race and representation. He put a human face on a label and showed we all want the best for our children and families. 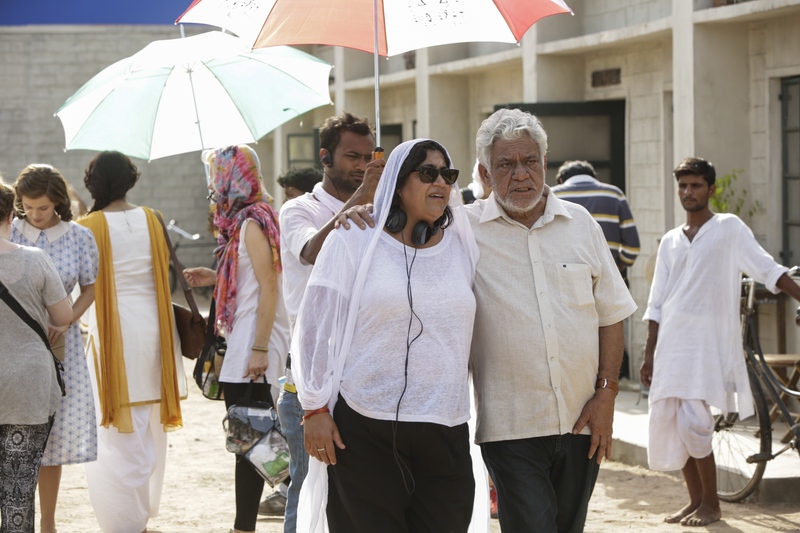 Om and I had been wanting to work together for many years and I was thrilled when we finally had the opportunity to do so last year when I directed Viceroy’s House. The film is the true story of the end of empire in India after centuries of British rule. It was a deeply personal film for both of us given that we were both from the Punjab and the end of the Raj had a profound impact on our families. We shared a passionate belief that we are all brothers and sisters, and in a world riven with the politics of division and hatred, we wanted our film to celebrate tolerance and the triumph of the human spirit. I first saw Om on the big screen 35 years ago in Richard Attenborough’s Gandhi. We both recognised how much the world had moved on since then: here I was, not only a woman but an Asian British woman, given the chance to tell the story of empire from our point of view. In my film, Om plays a blind Muslim freedom fighter who marched with Gandhi and whose daughter falls in love with a Hindu boy. He brought the same dignity and compassion to the role as he brought to all his roles: I’m sure many will remember his wonderfully complex performance as the Pakistani patriarch George Khan in East is East, as his was a humanity that transcended nationality and religious belief. I’m conscious that all of the foregoing makes Om sound terribly serious. But he was also tremendous fun and full of mischief; on set his lovely smile and endless jokes were infectious. When others faded, he remained energised, and no matter the hour he was always happy to sit down for a drink with cast and crew at the end of a day’s shoot. It is painful to think that he won’t be standing alongside us when we celebrate not only the launch of Viceroy’s House next month but also the 70th anniversary of Indian independence and the birth of Pakistan. I will forever cherish the time we spent together and the wonderful legacy he has left for us all on screen.